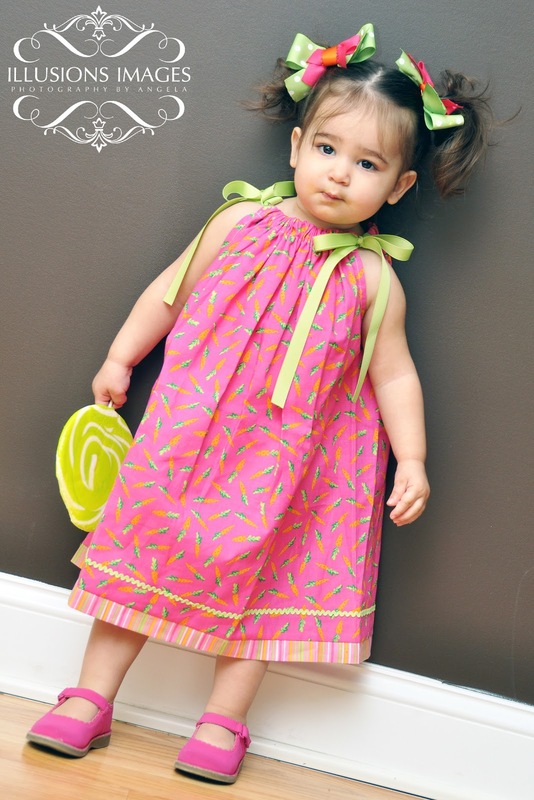 Granny B's Clothesline has the cutest spring attire full of pastels and spring themed appliqués. 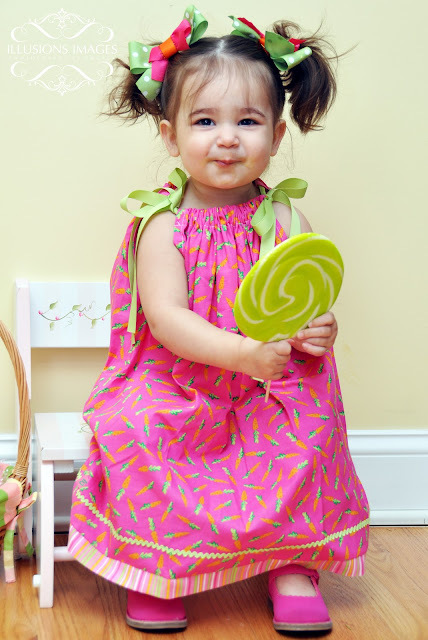 Lulu modeled a pillow case dress with miniature carrots and lime green detailing that is perfect for easter. We had the perfect Easter basket to match stashed in the studio. I thought this was going to be an easy and adorable shoot. I was wrong. First our favorite bunny lovely was missing, then Lulu refused to have the basket even near her. Every time it was placed near her she picked it up and threw it. 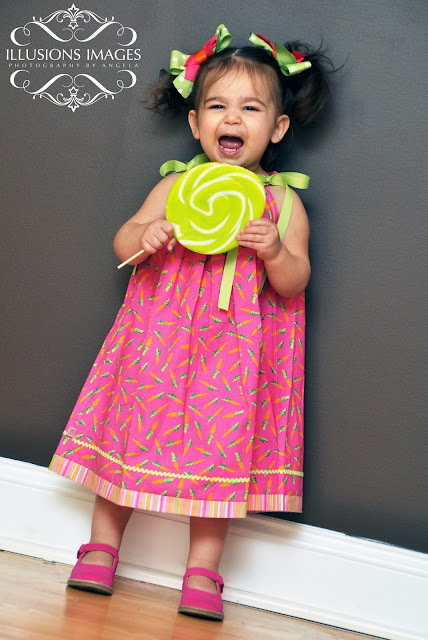 Then Lulu decided that she did not want to stay still. 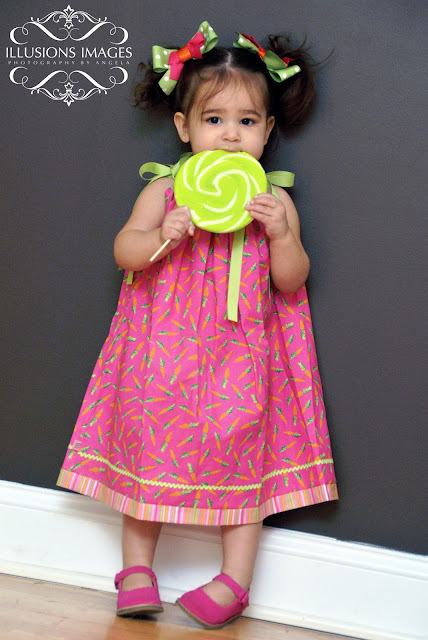 I decided to bribe her with a green lolli. As soon as she saw that she has to have it. All I can say is I am glad the lolli matched the outfit and that she was taught to sit when eating. I was able to get some good shots, just not the ones I was envisioning.